Police rolled into the complex on 1500 E SR 40 at 5:45pm. 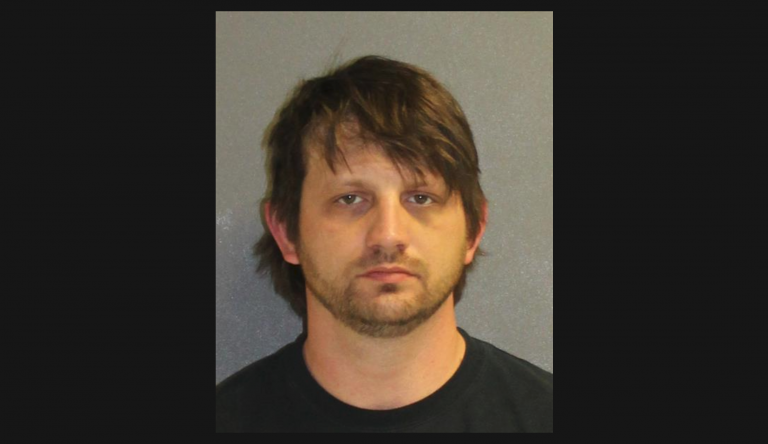 Cody Mallory, Scott Bloomquist’s crew chief was arrested by officer Jose Ramos of the Volusia County Sheriff’s office. The photo below shows a picture of the arrest. Was told that the Volusia County Sheriff’s showed up on site at Volusia Speedway Park to serve an arrest warrant. When they returned, it was Cody Mallory, the crew chief of Scott Bloomquist’s No. 0 in handcuffs. 33-year-old, Mallory had a warrant out for his arrest. The warrant was issued for contempt of court due to back child support as confirmed by the police report. He was booked and bond has been set at $92,682.50. Mallory remains in custody according to the latest update from the Volusia County Corrections. The World of Outlaws have three more shows at the Florida race track. Thursday, Friday and Speedweeks will conclude on Saturday. Bloomquist finished 3rd in the opening night at Volusia Speedway Park. The second night of the show saw a rainout. On Wednesday night, Bloomquist qualified 2nd in his group. He then won the final heat race of the night. He ended up finishing 22nd in the feature race. Cody Mallory has been the crew chief for Scott Bloomquist since Tommy Hicks decided to take a break from racing. Bloomquist is a regular on the Lucas Oil Late Model Dirt Series. He currently sits 4th in the standings with that racing series. Their next event isn’t until March 15th. Update: This post was updated with details of the arrest warrant which were provided by the Volusia County Sheriff’s office. Other specifics were also included but not limited to the exact time of the arrest.